A bill legalizing industrial hemp production in the U.S. state of Alaska has unanimously passed the State Senate, 20-0. Under the bill, industrial hemp would not be considered marijuana and therefore removed from Alaska’s list of controlled substances. Senate Bill 6 was sponsored by Senator Shelley Hughes. 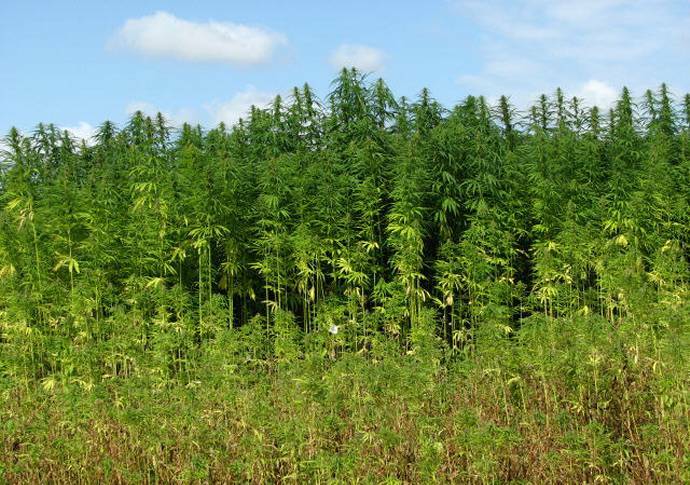 While industrial hemp would be treated as an agricultural crop in the state, parties wishing to cultivate it will be required to apply to the Department of Public Safety for a permit. Those registered will be permitted to grow, harvest, possess, transport, process, sell and buy industrial hemp. They will also be allowed to retain hemp seeds for the purpose of sowing future crops. The penalties for failing to register won’t be particularly harsh – the maximum fine will be USD $500. Industrial hemp grown will need to stay below a limit of containing 0.3 percent delta-9 tetrahydrocannabinol (THC) on a dry-weight basis. Any hemp crop exceeding the limit will need to be destroyed; however there are some exceptions related to “reconditioning” hemp between 0.3 – 1 percent THC. The bill also clarifies that adding industrial hemp to food does not create an adulterated food product. The full text of Senate Bill 6 can be viewed here (PDF). Assuming the bill passes the Alaska House of Representatives and becomes law, the legislature will reevaluate the regulation of industrial hemp after a period of seven years; based on a report to be produced by the state’s Department of Natural Resources. This won’t be the first attempt to legalise industrial hemp in Alaska, but the prospects of this bill passing muster appear to be very good. Hopefully Alaska will soon be able to join other progressive states that can look forward to the economic benefits of re-embracing this amazing crop; one that should have never been outlawed in the first place.